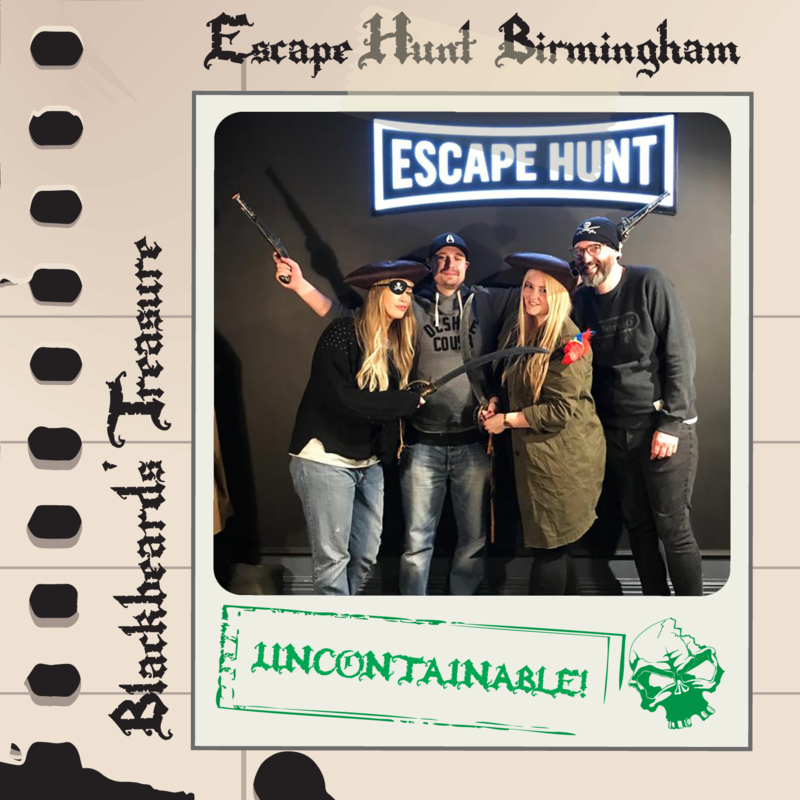 We visited Birmingham’s Escape Hunt to be one of the first teams to play their brand new room Blackbeard’s Treasure. 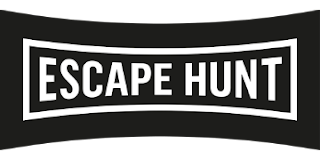 Despite playing a fair few pirate themed games at other venues, having recently survived Escape Hunt’s superbly executed Samurai room we returned with high hopes to play their take on the escape genres popular theme. The detailed plot reveals we were to be transported onto a pirate galleon in the middle of a battle for control of the High Seas. Our captain Blackbeard has just been killed with his ship shot to pieces and sinking fast. Us shipmates have decided to jump ship, but not before helping ourselves to the contents of Blackbeard’s legendary treasure chest. We’ve just 60 minutes to escape; any longer and we’ll drown… that’s if the sharks don’t get to us first! Our games master for the hour was the mildly unassuming Richard, whom transformed effortlessly from his welcoming and charismatic customer service role to portray an impressively believable swashbuckling pirate. His inclusion in our game with his character depiction and sense of occasion only served to positively add to our overall experience here. On first impressions we were dazzled by the attention to detail in this room. No easy installation cheap wallpaper was to be found upon this ships walls! From the authentic wood panelling, to the intricacy of the purpose-built props and the subtle auditory inclusion of sea chanty all added to it's believability and immersion. A reoccurring theme amongst the stronger escape games we’ve played. The game took place in a generous sized space that comfortably accommodates the advertised maximum six players. In contrast it does well to also cater for smaller sized groups without it ever feeling overwhelming or unachievable. Liner puzzles often run the risk of leaving some players without much to do, but this room provided us with the generous ability to separate and inspect the space individually, before coming together to share our finds - our favourite type of escape game to play. The puzzles here were a pleasant mix of styles offering varying degrees of complexity. The game also offered a variety of interesting purpose built props which not only served to strengthen its theming further, but resulted in us completing novel, challenging tasks that we’d yet to experience elsewhere. Our only minor niggle was the use of one particular puzzle which we found somewhat frustrating. Without giving too much away we learned recently that this puzzle type is only used in approximately 6% of escape rooms worldwide - with good reason. This is the second time we’ve come across it over the many games we’ve played and consistent to our previous experience, had difficulties executing it without much needed guidance. 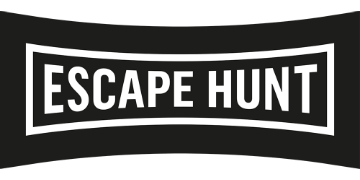 To Escape Hunt's credit they appeared to be genuinely interested in asking for feedback at the end of our session. Richard informed us that he had also recognised the difficulties this puzzle imposes and the need to perhaps make adjustments in order to bring it up to to same seamless standard as the rest of the puzzles in this otherwise excellent room. The clue system here was faultless, with cryptic subtle suggestions rather than out-and-out resolves which helped to maintain our sense of achievement upon finally cracking a riddle. Richard’s vigilant attention to detail also helped us maintain a steady pace throughout the room, with his subtle encouragement and well-timed intervention when necessary. One of our favourite overall aspects of this room was its climatic ending. Often rooms can tail off a little towards the end with no big fanfare upon completing the final puzzle to escape, but the urgency and time pressure stayed with us throughout the game and right to its very last second. 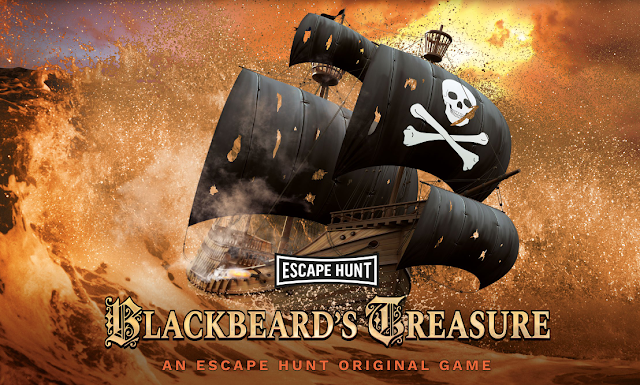 Despite its popular pirate premise, the water-tight combination of its many first-rate individual elements fused together to mark the spot for an excellent, all-round escape game. 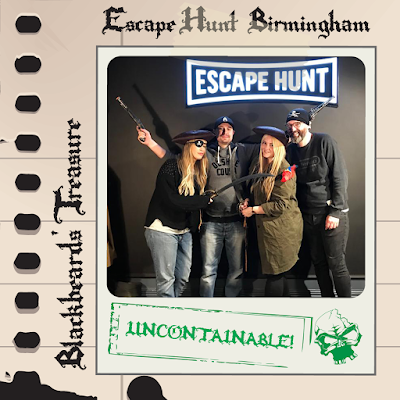 Comfortably anchoring the admirably executed Blackbeard’s Treasure straight into our favourite pirate themed room to date.